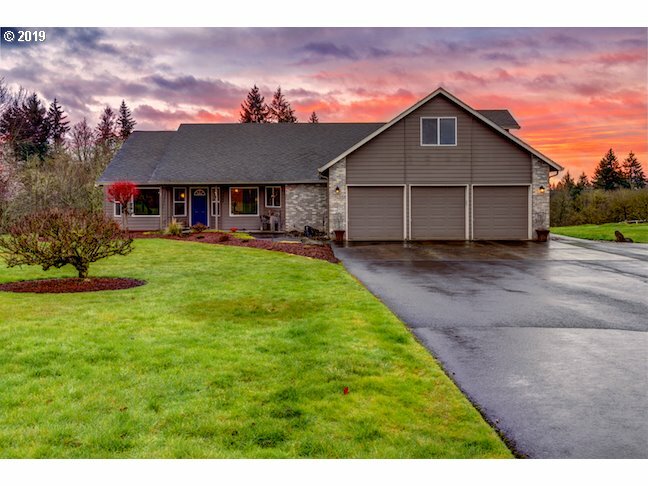 All La Center homes currently listed for sale in La Center as of 04/22/2019 are shown below. You can change the search criteria at any time by pressing the 'Change Search' button below. If you have any questions or you would like more information about any La Center homes for sale or other La Center real estate, please contact us and one of our knowledgeable La Center REALTORS® would be pleased to assist you. "House & Barn on 40 Acres. Endless possibilities with immaculate acreage. Custom home with substantial mill work, hardwood floors and gourmet kitchen. Private setting and sweeping territorial views. 40 level acres of fertile farm land with two outbuildings one with upstairs apartment. great livestock, berries, winery." "Exquisite 21.38 acre farm with 2 residence that can be divided into 2 10 acre lots. 1000' of river frontage to fish or water play. 3 phase power, cross fenced pastures, fruit trees, barn with chicken coop, tack room, stalls, hay storage, milking stalls and more. Smaller barn with tack room and 2 additional stalls. Carport with grease pit. This immaculate property has endless possibilities. Would make a stunning setting for a winery." "Looking for an exquisite, beautiful home that will take your breath away?Home has all the amenities of your favorite get-away. Take in the serenity and scenic views of rivers, mtn, self cleaning pond, fountain, pool, hot tub, & English garden landscaping all from the large covered decks & patios.Taste abounds in the 4948 sqft home that boasts a grand entrance w/ vaulted ceilings, slate fireplace, formal sitting rm, lrg family rm"
"Incredible custom built Ranch w/ stunning territorial views. Vaulted and high ceilings throughout, lots of natural light. Spacious kitchen w/ granite counters, island, gorgeous wood accents. Great room w/ wet bar, dining room, patio, sitting areas. Above garage rooms great for bonus room or guest quarters. Backyard is equipped with sprinklers, young orchard, sauna. Country setting close to town. No details spared, must see!" "Beautiful home + Guest Quarters in popular Rose Hill Estates ! Location is ideal, minutes away from freeway. 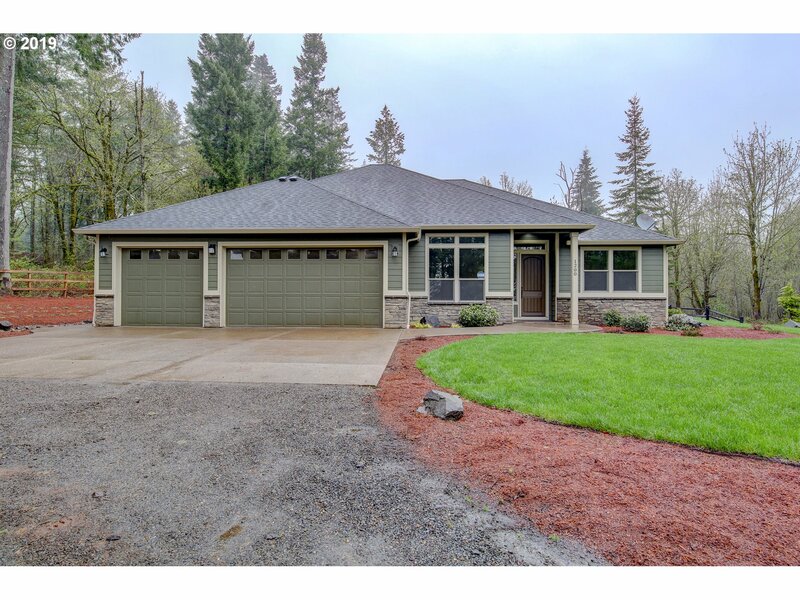 Main house features open floor plan w/vaulted ceiling, laminate floors, wood burning fireplace, bonus room , Heat pump, Master suite w/private bath & slider to your private deck and hot tub. Gourmet kitchen featuring granite/stainless appliances. Guest quarters w/shop. No CC&Rs or HOA !" "Beautiful single-level home with land in a park-like setting. Open concept great room/kitchen include stainless steel appliances, walk-in pantry, massive island, and gas fireplace. Attention to detail finishes includes custom tile, granite, and built-ins. Massive windows bring the outside in. Desirable landscaping, fencing, and sprinkler system for easy care maintenance. 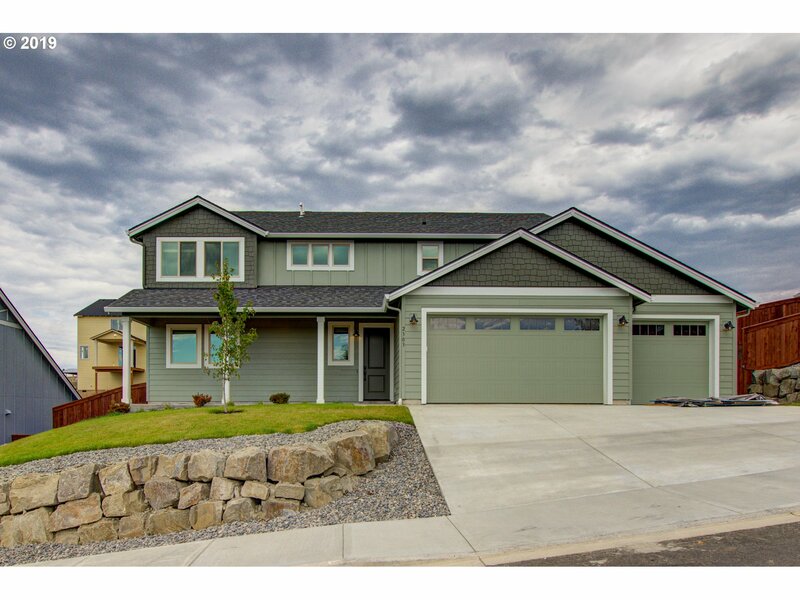 Open House Saturday, 12-2PM, Sunday 1-3PM"
"1 Acre Beautiful Custom Home with 3,121SF & 5 Bedrooms (Bedroom on Main/Full Bath/Sep Entry) and 3 Full Bathrooms. Kitchen: w/Large Pantry, SS Appliances, Tile Countertops, & Island. Master Suite w/Bathroom, large walk-in closet, dual sinks, jet-tub/shower. Gorgeous Den/Study. Formal Living & Dining Room. Family Room with Built-ins. Only 7 minutes from B.G. Main St. *Zoning Approved for ADU/Shop!" "Immaculately cared for, one-owner custom home with a private 8 acre timbered playground Design your own hiking/ATV trails & explore acres of old growth, marketable timber Large covered RV parking Gated driveway Room for a shop (per seller, buyer to verify) Home offers abundance of natural light Forced air w/AC Private Master Suite w/double vanity & jetted tub Enjoy the natural spring water feature from the expansive rear deck"
"What an opportunity to have your dream home in La Center's Best Kept Secret: Foothill Estates Neighborhood, 2011 Parade of Homes Community. 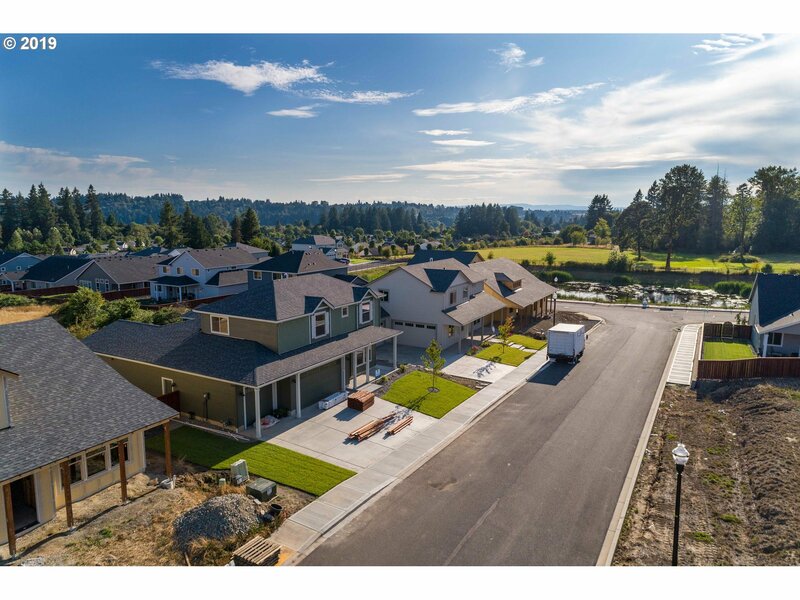 Pick your custom finishes and enjoy the serenity of the neighborhood trails and beauty that Foothill Estates has to offer. Just a short drive to the East Fork Lewis River to enjoy kayaking or paddle boarding." 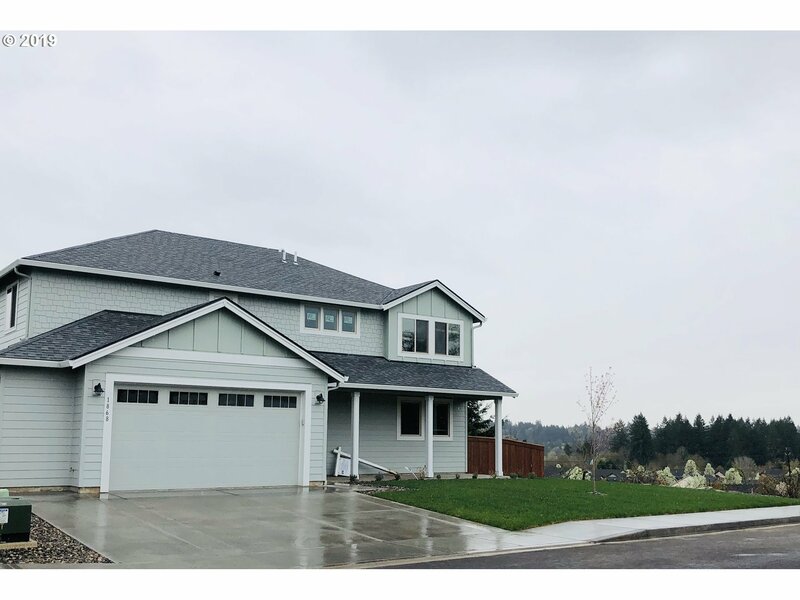 "2 Story Contemporary 3 Bed 2.1 Bath, Upgraded White Kitchen, Quartz Counters, SS Gas Appliance Walkin Pantry Upgraded Floors High Ceilings, Master Suite w/walk in closet Glass Tile Shower Soaktub Laundry Coverd Patio 3 Garage. Fully Landscaped. Territorial View!" "Come Enjoy the Good Life in Friendly Foothill Estates! Fabulous sleek finishes and attention to detail! Features 10 ft. ceilings, floor to ceiling cabinets. 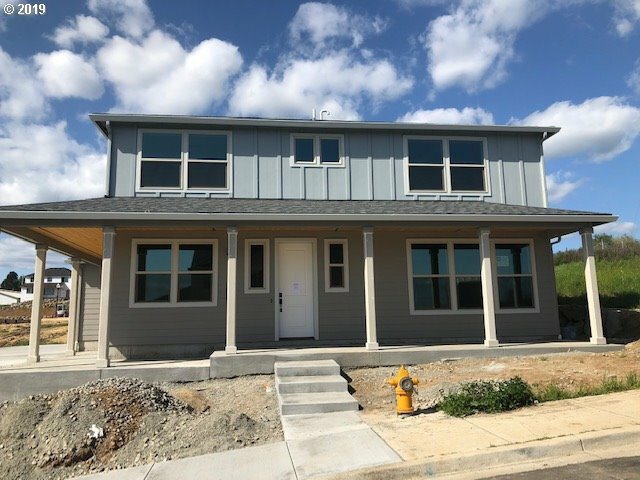 Main floor living with master and den on main + 2 bedrooms, bathroom and large bonus room upstairs perfect for a home office or theater. BBQ year round on covered balcony deck. 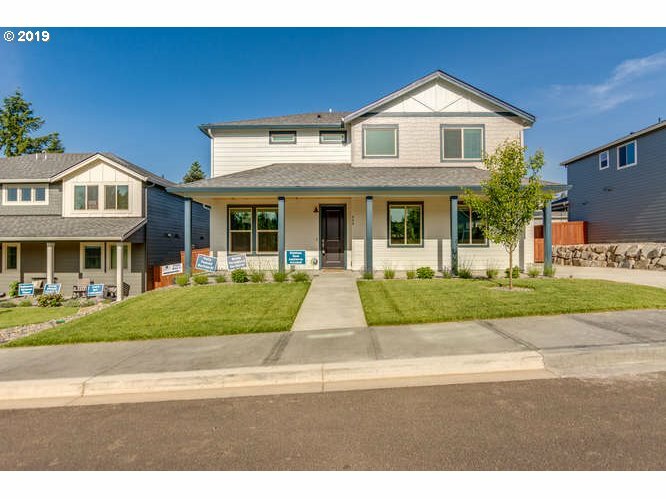 Fresh landscaping, sprinklers, and 3 car garage!" "BUILDER PROMO: $3000 towards buyers closing costs! 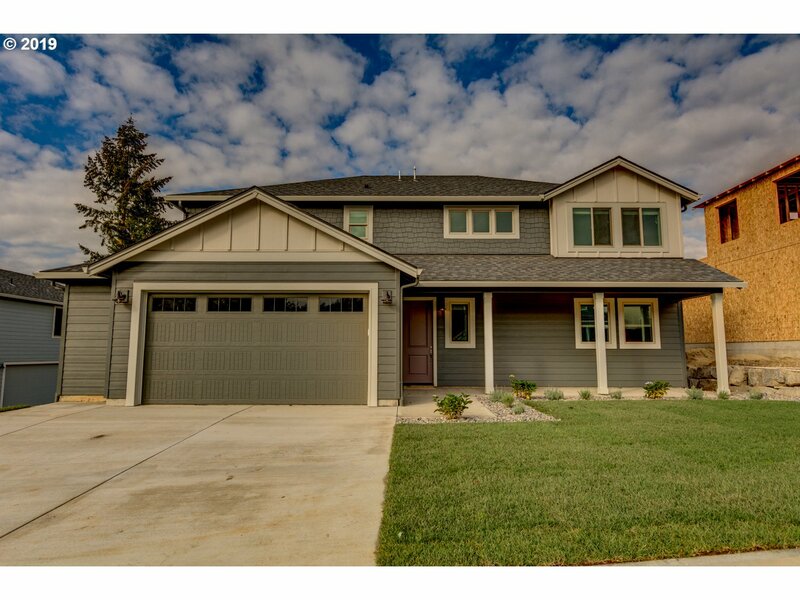 Stunning Modern Farmhouse home in the heart of La Center! 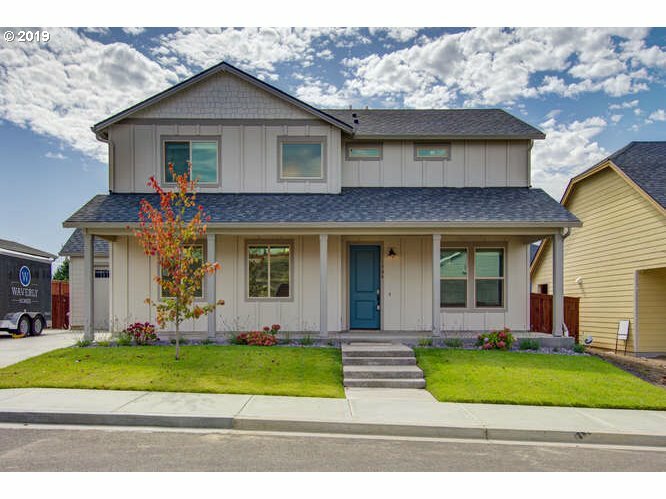 5 Bedrooms, 3.5 Baths + BONUS Master-on-Main, Open floor plan, Quartz counters, Hardwood Floors, built-in Gas range, SS Appliances, Fridge, A/C, Blinds Walk-in pantry Gorgeous built-in's in great room, Bench by back door, & Laundry Energy efficient home, $80/month! For directions: bit.ly/WaverlyModel"
"BUILDER PROMO: $3000 towards buyers closing costs! 4 BR's + Bonus, 2.5 baths,2-story Great Room, covered patio. Large kitchen pantry, Farmhouse style sink, large dining nook. Interior finish selections include Engineered Hardwood floors, quartz counters in kitchen, Elegant Built-in's, SS appliances, Gas fireplace w/stone surround. A/C, Blinds, Refrigerator Included in Sales Price! Listing agent related to seller." "BUILDER PROMO: $3000 towards buyers closing costs! The Felicity plan is a must-see. Farmhouse style home with side-load garage & 3rd bay (or shop). Great Room, Den (optional bedroom) on main, Master + 3 Add'l Br's upstairs. Amazing covered back patio. Corner lot. Gorgeous finishes include: Quartz Counters, Gas cooktop, Wall oven, Farmhouse Style sink, Built-in's. Prof. Interior Design. Fridge & Blinds included." "BUILDER PROMO: $3000 towards buyers closing costs! Huge Lot! Master on Main! 4 BR's + Bonus, 2.5 baths,2-story Great Room, covered patio. Large kitchen pantry, Farmhouse style sink, large dining nook. Interior finish selections include Engineered Hardwood floors, quartz counters in kitchen, Elegant Built-in's, SS appliances, Gas fireplace w/stone surround. A/C, Blinds, Refrigerator Included in Sales Price!" "BUILDER PROMO: $3000 towards buyers closing costs! 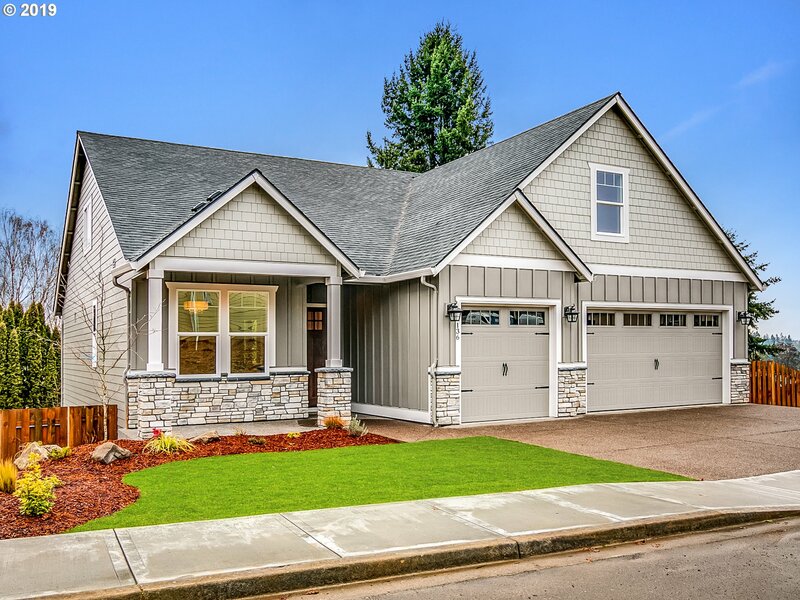 Plan includes Covered front porch, Master on Main, 4 BR's + Bonus, 2.5 baths, 2-story Great Room,covered patio.Interior finish selections include Engineered Hardwood floors, quartz counters in kitchen, SS appliances, Gas fireplace w/stone surround, built-in cabinets in great room, A/C, blinds & more! For directions use: https://bit.ly/WaverlyModel"
"BUILDER PROMO: $3000 towards buyers closing costs! Farmhouse style home with side-load garage & 3rd bay (or shop). Great Room, Den (optional bedroom) on main, Master, loft + 3 Add'l Br's upstairs. Amazing covered back patio. Gorgeous finishes include: Quartz Counters, Gas cooktop, Wall oven, Farmhouse Style sink, Built-in's. Prof. Interior Design. Fridge & Blinds included." "NEW SPRING SPECIAL! This one won't last! Don't miss out! La Center's Best Kept Secret: Foothill Estates. Single level living w/sleek finishes and attention to detail. Chef's dream kitchen w/XL refrigerator and island perfect for meal prep. Features 10 ft. ceilings, floor to ceiling cabinets. 3 beds + den and upstairs bonus room. Larger lot, sprinklers, covered patio and 3 car garage!" "Spectacular square footage and property! Home big enough for the multi generational needs with separate living spaces! Large open concept through much of the home with tons of storage! Great for entertaining or the large family. Newer metal roof, heat pump, and septic system. 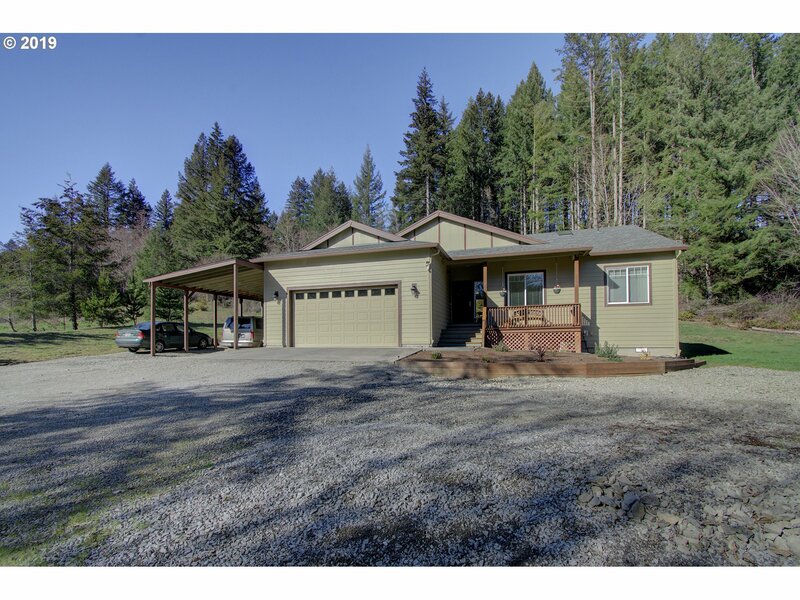 Lovely 5 acres with lots of fruit trees, creek, and a large shop! Daylight basement with own entrance. 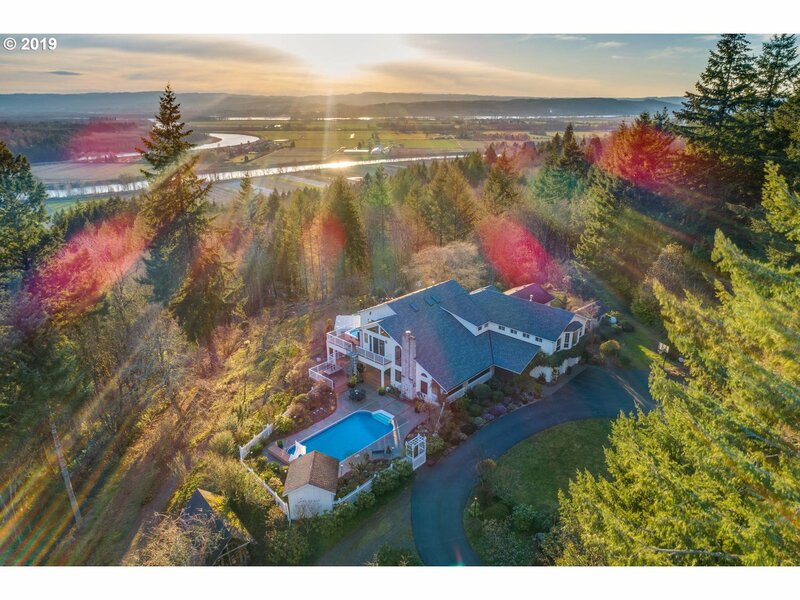 Schedule your appointment today"
"PICTURESQUE & PRIVATE 5.6 ACRE SETTING! Covered wrap-around porch welcomes you to close-in country living. 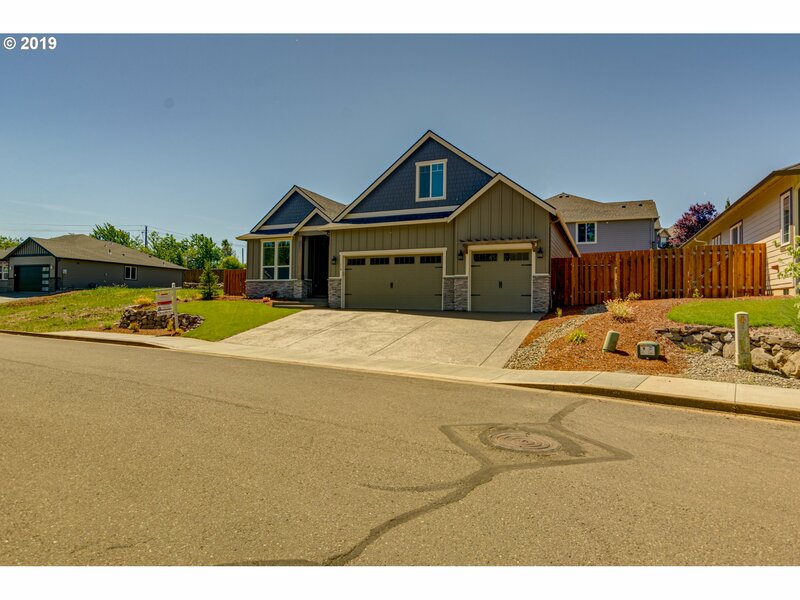 Gated entry, beautifully maintained 2 story, kitchen w/granite counters, SS appliances & walk-in pantry, hardwood flrs & propane stove in family room, master suite w/jetted tub, walk-in closet. Relax on the back deck w/serene views of seasonal creek & trees. 36x60 barn w/stalls & pasture. Bring your horses! Only 12 minutes to I-5!" "BUILDER PROMO: $3000 towards buyers closing costs! Farmhouse style home with side-load garage & 3rd bay (or shop). Vaulted Great Room, Den (optional 4th bedroom) on main, Master + 2 Add'l Br's upstairs. Amazing covered back patio (spans the width of the house). Huge yard. Gorgeous finishes include: Quartz Counters, Gas cooktop, Wall oven, Farmhouse Style sink, Built-in's. Fridge & Blinds included. Listing agent related to seller." "BUILDER PROMO: $3000 towards buyers closing costs! Farmhouse style home with side-load garage & 3rd bay (or shop). Vaulted Great Room, Den (optional 4th bedroom) on main, Master + 2 Add'l Br's upstairs. Amazing covered back patio (spans the width of the house). Huge yard. Gorgeous finishes include: Quartz Counters, Gas cooktop, Wall oven, Farmhouse Style sink, Built-in's. Prof. Interior Design. Fridge & Blinds included."